Basically I want the band ready to play between 6:30 & 7 PM when the gust of honor arrives. This is part of the surprise. I really only want you to play for 20-30 minutes after that. Arriving on the music scene in the late 19th century, Mariachi Bands brought an upbeat yet traditional sound to Mexican culture. With a blend of guitars, violins, trumpets, the guitarron, and the vihuela, Mariachi music can truly liven up a party! The upbeat authentic Mexican folk music is the perfect accompaniment for wedding receptions, Cinco de Mayo parties, and so much more. 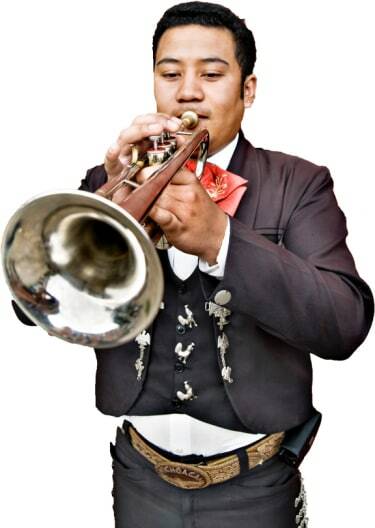 Search for Mariachi Bands in Covington, Kentucky above. Please note that these Mariachi Bands may also travel to Park Hills, Fort Wright, Ludlow, Newport, Bromley, Southgate, Wilder, Bellevue, Crescent Springs, Latonia, Lakeside Park, Ft Mitchell, Villa Hills, Dayton, Crestview Hills, Highland Heights, Taylor Mill, Edgewood, Cold Spring, Elsmere, St Bernard, Mount St Joseph, Norwood, Silver Grove, Ryland Heights, Cheviot, Bridgetown, Independence, Newtown, and Hebron.